Haverstock Students Shine At World-Famous Almeida Theatre. 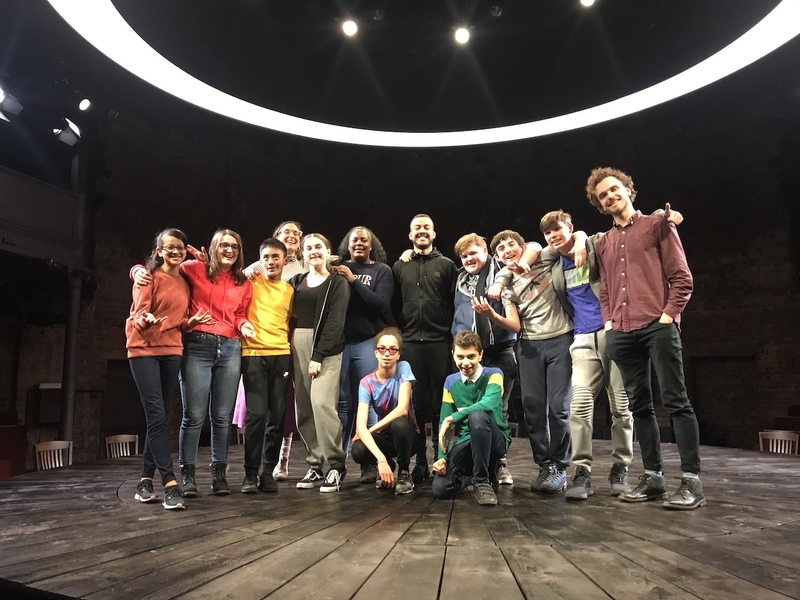 Last week, a group of our Year 9 and 10 Drama students wowed the audience with a fantastic performance at the world-renowned Almeida Theatre in Islington. Year 9 and 10 drama students have worked for 8 weeks with 3 professional theatre directors to create a unique and personal piece of work. On the final day the students got to experience what it is like to be a professional actor as they were put through their paces in a 5 hour rehearsal, before performing to an audience of 60 people. Although they were nervous, they were incredibly brave and the audience laughed and cheered throughout. The performance was very personal, with students sharing their own stories about the prejudices they face, including heart-breaking phrases such as ‘people think I am bad because I am a teenager’. They showed their passion by ending the performance with facts about who they are and who they stand for, including ‘I stand for children in care’, ‘I stand for domestic violence victims’ and ‘I stand for equality’. There is one thing being brave enough to act as a character on stage, but it takes a whole other level or personal bravery and risk to perform as yourself on stage. I was so so proud of the students, it really was a remarkable day to perform on the main stage at such a prestigious theatre! Congratulations and well done to all the performers. We are ALL very proud of you!